I spent last weekend forgetting what decade I live in. My paternal grandparents are very interested in family ancestry, and my grandmother is writing a book on it. Naturally, being the English major of the family, I am the editor (read: Aunt Josephine). Family history is an interesting thing. On my mother’s side, I know my heritage is Eastern European, but a few generations back, it becomes impossible to trace the exact lineage. Both of my maternal grandparents had Jewish roots in Hungary, and during World War II, not only were many printed records destroyed, but many living records as well. Several of my Jewish great-uncles disappeared during the war, and it is only too easy to imagine what happened to them. 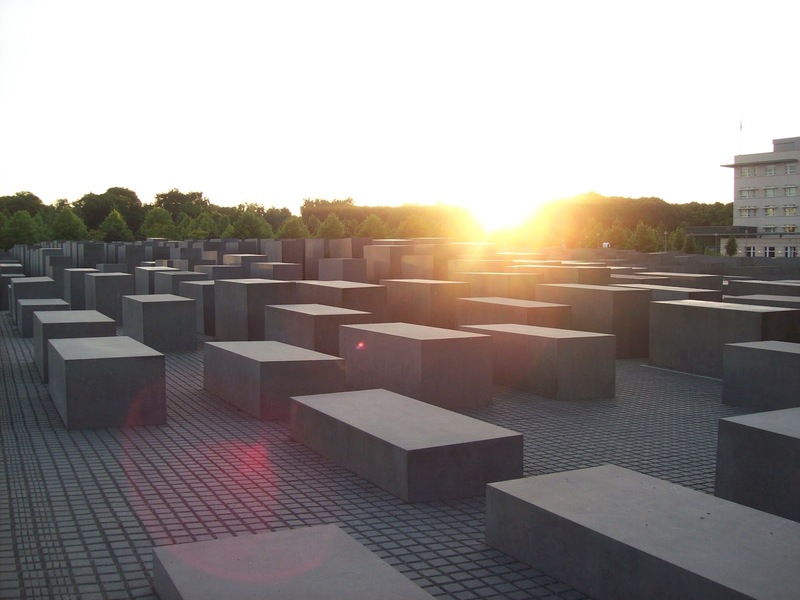 When I walked through the sobering Jewish Museum in Berlin two summers ago, it was like staring into a chilling mirror of an alternate reality. A few decades later, a few different decisions, and it was easy to imagine my own picture on those elegiac walls. Since much of my maternal ancestry is shrouded in history’s fog, my paternal grandmother’s research becomes even more interesting to me. Far from being a dusty chronicle of births, deaths, names, and dates, my grandmother’s book tells the stories of the people who are partly responsible for my existence, as far back as the research goes. I heard stories about my father’s childhood wish for a pet snake, my grandmother’s employment under a chauvinistic Kansas newspaper editor, my great-grandfather’s shocking decision to send his daughters to college, and generations of farmers, pioneers, and immigrants before that. 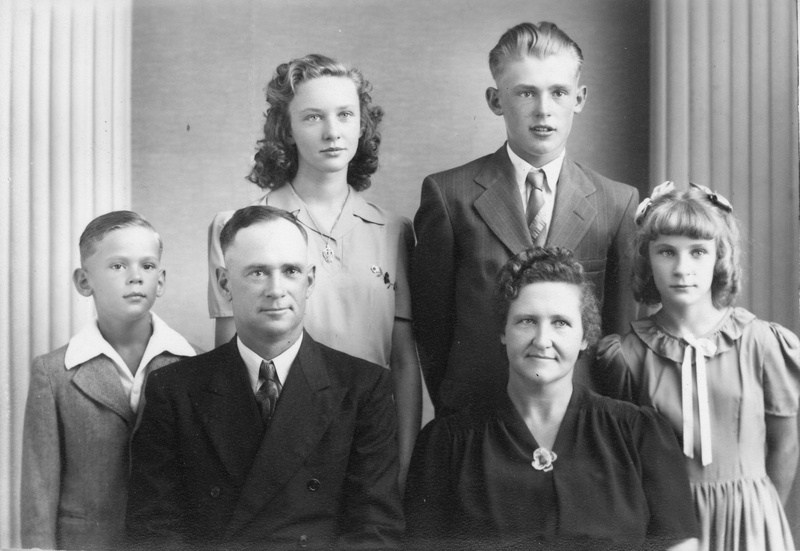 My paternal grandmother’s family in 1945. She is standing on the left. Being a young person in an individualistic culture can feel like being adrift, an unmoored raft on a lonely sea. Finding out where you come from–who went before you and how they confronted life’s challenges–brings a certain sense of security, of knowing your place in a larger web of people. It’s like belonging to a clan in Scotland’s clan system, or giving directions to a new place based on other familiar landmarks. Learning the stories of family members, even those long gone, helps me to better understand my own story by placing it as a succeeding chapter to theirs. Besides, they are irresistibly interesting. This is my grandmother’s grandmother, Cora (1856-1952). She grew up as a pioneer girl who lived with a fear of marauding Indians to the very end of her life. In her old age, she loved candy and spoiling her granddaughter, making handmade doll clothes and putting away pretty items for her hope chest. For a section of my childhood, I was convinced that I was Laura Ingalls and went nowhere without my checkered red dress and sunbonnet. I still treasure the doll clothes that my own grandmother made by hand. I wonder if echoes of personality can reverberate across generations. 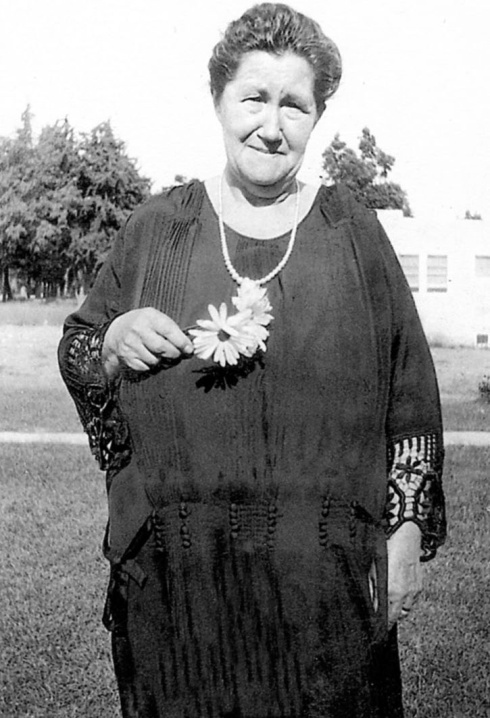 Great-grandmother Ada (1872-1962) was an educated working woman before the turn of the century. 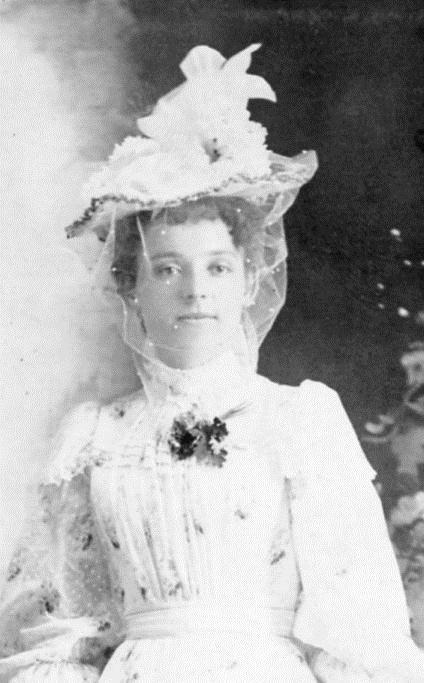 A seamstress by trade, she probably made this dress/hat she is wearing in her wedding photo. Married “late” (age 24! ), she was a good listener and loved to read. As a gift, she gave my grandmother a diary which she kept daily through high school. I now have a copy. Perhaps there’s a bit of physical resemblance between us, too? It is good to have history. It is good to be a part of something greater than yourself. I am blessed not to be a chapter without a prologue. What is your family story? Do you know anything of your roots? How fun! I love that you have actual stories, and not just textbook facts. I don’t know anything about my family history. All my grandparents died before I was born or when I was a kid, so it’s always just been aunts and uncles in my extended family. Angela: I wonder about the stories your extended family might be able to tell!? For those of you who are especially gifted storytellers, I wonder if it’s a “God gift” to have a curiosity about stories–both hearing and telling them…And our common history, GOD’S STORY, is bulging with stories!! love this Alina! What a blessing to be learning so much about your ancestors and your roots. It makes me want to talk to my grandparents more about where I came from.